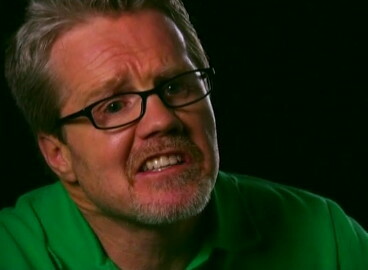 By John F. McKenna (McJack): In an interview with RingTV.com five time “Trainer of the Year” Freddie Roach believes his fighter, pound for pound king World Boxing Organization (WBO) welterweight champion Manny Pacquiao (53-3-2, 38 KO’s) would have a decided advantage over the defensive minded World Boxing Council (WBC) welterweight champion Floyd Mayweather Jr. (42-0, 26 KO’s). Roach believes that his explosive, hard hitting and lightning quick charge would knock Mayweather out if the two ever to find their way into the ring. Roach also believes that having him in Pacquiao’s corner would work in his favor. Roach believes that Mayweather would be a challenge, but feels a Pacquiao – Mayweather fight will never happen. “They want no part of us, so let’s face it. I feel that in reality,” Roach said. WBO/WBA light weight champion Juan Manuel Marquez (53-5-1, 39 KO’s). “Pacman” and “El Dinamita” will square off on November 12 at the MGM Grand Arena in Las Vegas in the 3rd fight of their Trilogy. Their first fight in 2004 fought at 126 pounds resulted in a controversial draw. The 2nd fight in 2008 fought at 130 pounds also ended controversially when Manny was awarded a narrow win. Both fights were extremely competitive and action packed. Pacquiao has been installed as an 8 to 1 favorite primarily because Marquez is now 38 years old and has shown some signs of slowing down, while Manny at 32 is in his prime. Manny has also grown into a legitimate welterweight and fights comfortably at that weight. In addition Pacquiao since taking on Freddie Roach as his trainer has developed into a complete fighter. « Saul Alvarez – Ulises Solis. Who is lying?